© 2015 Ted Saker, Jr. All rights reserved. 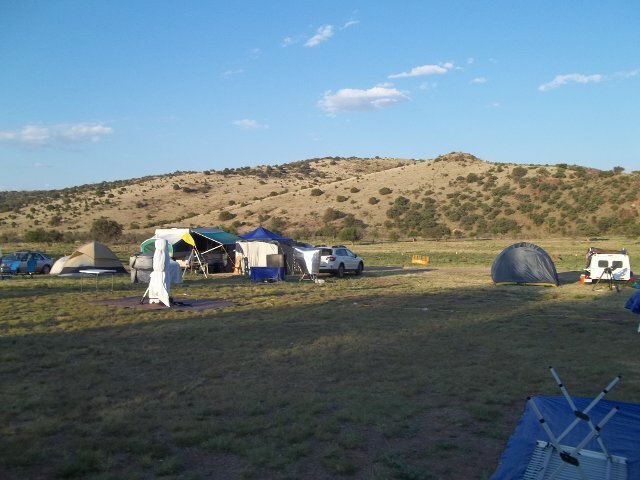 The 2015 Texas Star Party made history on a number of levels, not the least of which was the amount of rainfall at the Prude Ranch. In years past, we might see a sprinkle or two, but this year's weather surpassed 2007, the last time I saw rain in any quantity worth mentioning. Of seven nights, half were clouded over. On one of the cloudy nights, a long, steady rain doused the Davis Mountains. One one of the half-cloudy nights, we experienced a succession of three old fashioned west Texas gully-washers complete with a free light show not involving lasers. 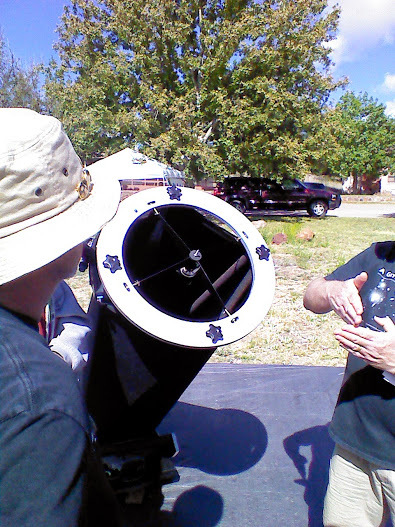 When skies were clear, they treated attendees to good to excellent imaging and observing conditions. This is an el Nino year, which normally brings wetter weather to the Southwest U.S. and greened up the foliage on the ranch. The highlight of TSP 2015 was the entry of the Scarlet and Gray Astrograph (SAGA) onto the astro-stage. Although I didn't win the ATM contest, the SAGA was the only telescope entered that had a homemade mirror. The rest were posers. I tried to get images with the SAGA early in the week but no joy. With encouragement and some help from Craig C. and Keith V., a Fellow of the Royal Astronomical Society, I relocated the mirror to a spot in the tube that brought the focus point above the focuser. 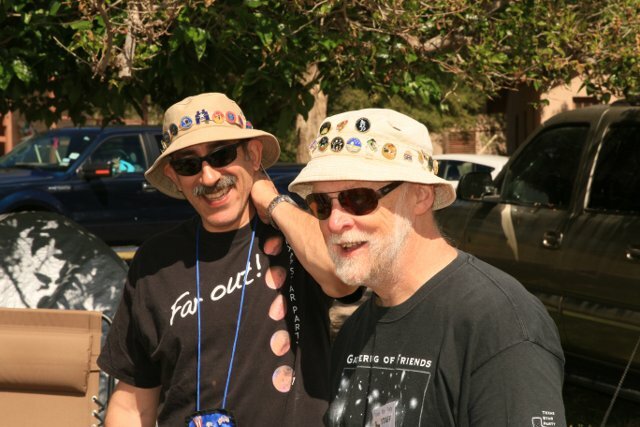 Keith's advice was simple: point the telescope at the sun(!) and use a piece of paper to determine the focus point. Craig supplied the power drill, and told me, "Your tube, you drill." Keith measured the location for the holes, and I completed the drilling in one go. As it turned out, the site where I put the mirror was one I had previously placed it and relocated it, filling the holes with putty and painting over it. The new placement enabled me to finally obtain my first images using a Meade DSI Pro camera. I took images of the SCURT, Antares, M4, M8 and M80. Only the latter two objects yielded decent results due to my inability to use the Meade control software and a very short two second integration time limit using MaxImDL. These images remind me of my first forays into CCD imaging with the Cookbook camera. 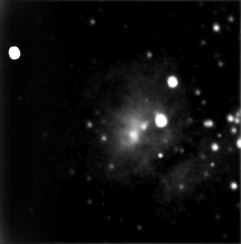 I attempted to obtain the rest of the color layers on Centaurus A. I started on this object at WSP 2014. I set up in a bad spot for TSP 2014, and WSP 2015 was a bust, so I was not able to finish imaging that object. I had a better location for TSP 2015, but the object's low altitude gave me only a very narrow window of opportunity, and less so after Centaurus A's transit due to the mountain ridges. Since I had fewer clear nights this year, and the clear skies were mostly after Centaurus A transited the meridian, I wasn't able to complete the color layers. WSP gives me another opportunity in 2016 to finish this object. I never thought it would take me this amount of time to get the color layers for this object, but that's show biz. This year's run concentrated on completing my collection of summer Milky Way nebulae using narrowband (H-a, S-II and O-III) filters. I captured all the necessary sub-frames on the Eagle Nebula (M16). 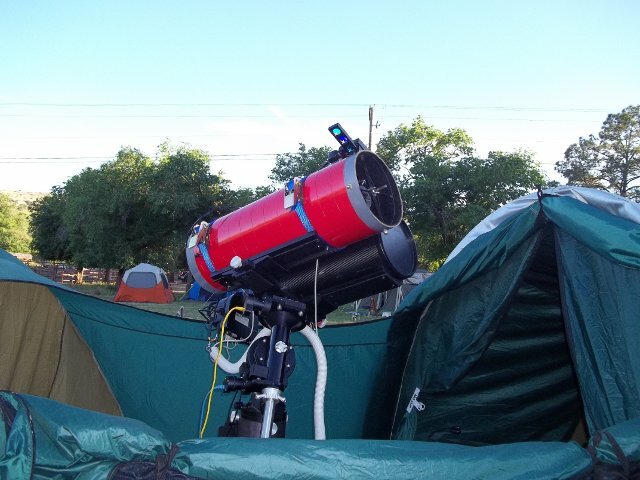 Joe Golias of Astrozap made his third Texas Star Party appearance with yet another new imaging rig in addition to the two he brought last year. My AT8RCF astrograph performed very well. 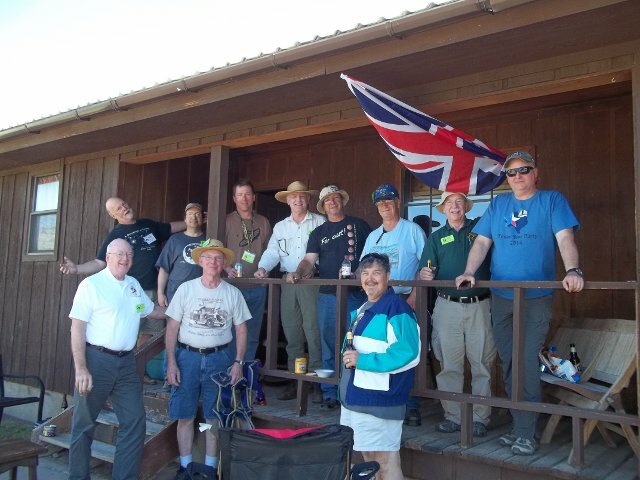 The staff of the Prude Guest Ranch did their usual excellent job of making sure we were comfortable and well fed. In gratitude for their hard work, I helped prepare Excel formulas to enable better tracking of meals served. TSP comes and goes too quickly. I'm hoping to be able to attend again next year. Emission Nebula (M16/NGC 6611) "The Eagle" in Serpens Cauda. 4800 secs. L, 2400 secs. Ha, 3600 secs. S-II, and 4200 secs. O-III, HST palette. Emission Nebula (M8/NGC6523) "The Lagoon" in Sagittarius. 4 secs. L with the SAGA and Meade DSI Pro camera. 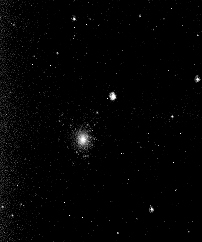 Globular Cluster (M80/NGC 6093) in Scorpius. 4 secs. L with the SAGA and Meade DSI Pro camera. 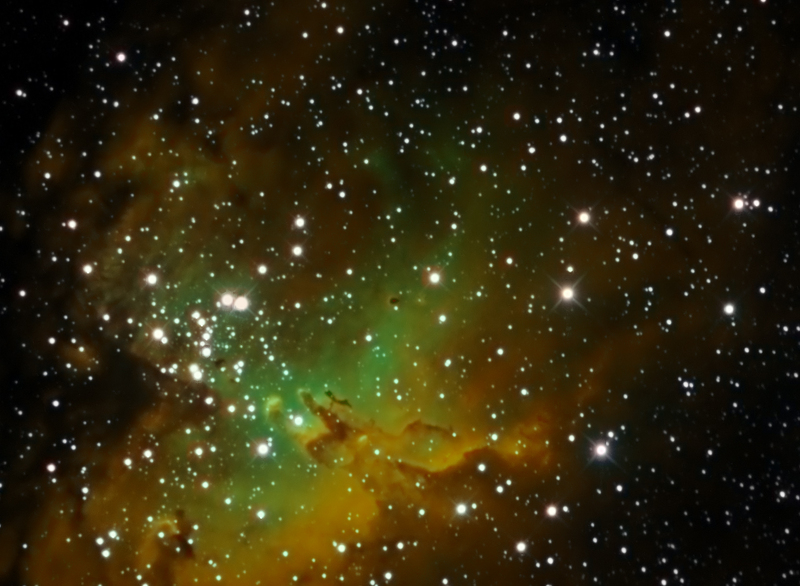 The Eagle Nebula image was acquired with an SBIG ST-8XME camera with AO-8, SBIG CFW-10 with Custom Scientific LRGB filters (for tricolor images), and Custom Scientific hydrogen alpha (H-a), Schuler sulfur II (S-II) and Baader oxygen III (O-III) filters. Optics used was an Astro-Tech f/8 AT8RCF on a Losmandy Gemini I G-11 GEM. *These images are dedicated to the memory of my father, Theodore R. Saker, V, who passed away on May 4, 2015 at age 93 one week before TSP began. 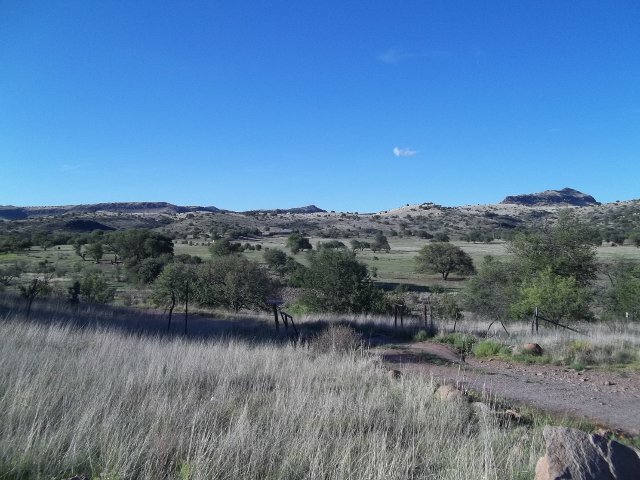 Davis Mountains view from the ranch. The Shade Tree Gang's 16th General Assembly. The SAGA sees first light. The Author and his FRAS consultant.